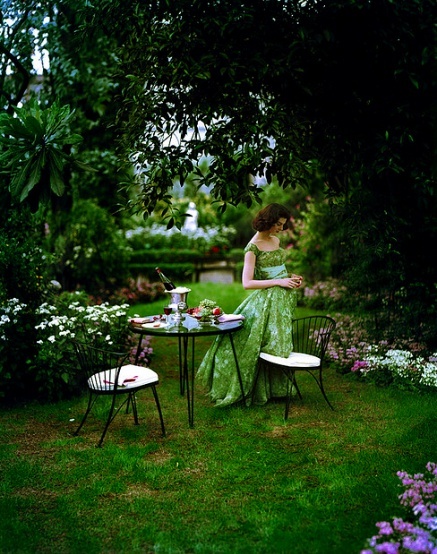 I wish my garden looked like this for entertaining, how dreamy is this. The weather is just right here now, lots of sun with just the right amount of cloud cover with cool breezes. The only dilemma I face is what will I serve. Anyone has a fave summer meal to recommend??? 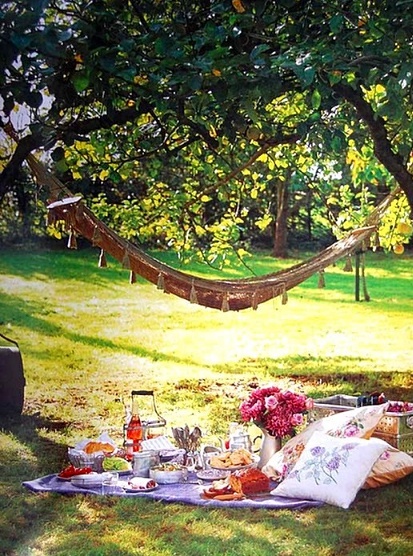 A hammock and a picnic is never out of style. 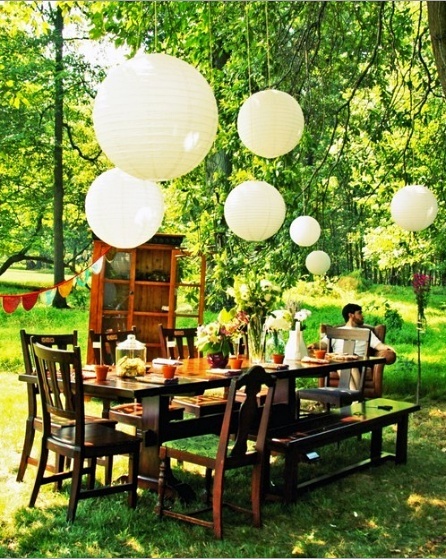 Whether its under the trees or in the garden, I love entertaining outdoors. I find myself longing for the ray of the sun and the peaceful sound of wind everywhere. 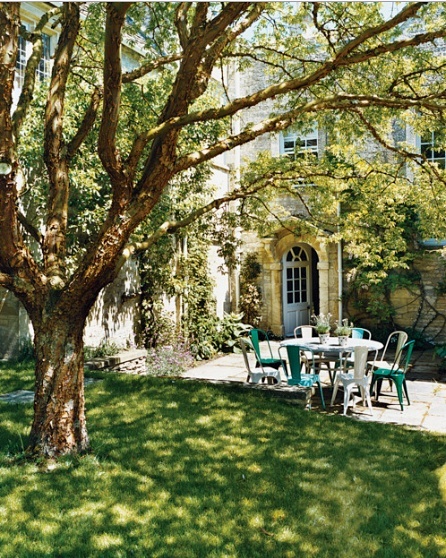 I'm dreaming of gorgeous dresses, simple meals, natural wines, tea and lots of good friends to pass the time. Love to All who are dreaming of summer days to come. Great post. I love entertaining outside as well. Picnics in Central Park are my favorite! @Monroe and @Anna, Thanks Gals.